Growing up in the Chicago area as a kid I heard Don Shirley records all the time on the several jazz FM radio stations. They would regularly play Billy Taylor, the latest Ahmad Jamal, Phineas Newborn Jr, Eddie Higgins, Ramsey Lewis, and Don Shirley. It never occurred to me that he wasn’t a jazz musician. Sure he had an unusual trio (piano, bass, and cello), but all the jazz groups were a bit unusual back then: Chico Hamilton Quintet; The Mitchell-Ruff Duo: John Lewis and the MJQ ; Bob Cooper and Bub Shank featured flute and oboe. The recordings Don Shirley made with bassist, Richard Davis were smokin’ – they were so hot. On They Can’t Take That Away from Me (Don Shirley Plays Gershwin) Davis played a super-charged walking bass while Shirley switched between blues, stride, concert, and Teddy Wilson-style piano. And then, of course, there was “Water Boy” and “Drown in My Own Tears” – blues and gospel on every track. I think Don Shirley mixed up styles and demonstrated that swing, concert piano, and gospel can all work together. We can hear his influence in many of the major piano artists since that time. I know that Mr. Shirley publicly stated that he was “not a jazz musician” but I think he was simply trying to avoid being pigeon-holed. However, his statements have worked against him in terms of getting the recognition he deserves. We all owe him a debt of gratitude. He never made a bad record and he never bowed to the type of commercialism that has taken its toll on the music industry today. I think he and Duke Ellington had much in common in this regard – a deep appreciation for quality. In 1962 Don Shirley released Drown In My Own Tears – Cadence CLP 3057/Stereo CLP 25057 which demonstrated his ability to play gospel, blues, and jazz much in the manner of Ray Charles. In fact, several of the songs on the album are essentially rhythm and blues: Drown in My Own Tears, Stand by Me, Georgia, Amen, Just for a Thrill, and the Etta James’ classic At Last (which was originally composed by Mack Gordon and Harry Warren for the Glenn Miller band.) “In these songs I’m coming back to the roots,” he explained in the liner notes “Trying to find any way to play honestly and truthfully has been difficult…I happen to be the living example of something I’m not able to identify myself with…” In his liner notes Don Shirley is telling us that he realized that he wasn’t fully in touch with himself and his roots. 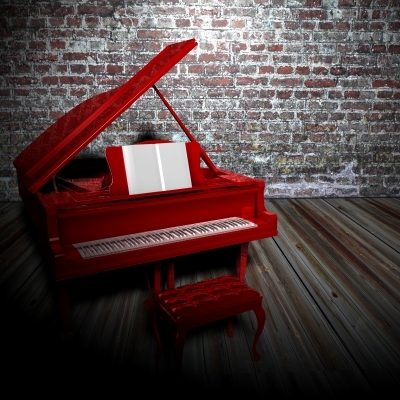 It wasn’t enough to be playing a hybrid conservatory style music as a college-educated (three doctorates) classically-trained pianist while living in a country being torn apart by racism and segregation and the cultural “bad faith” of Jim Crow racism – a hypocritical practice of racism while espousing equality for all. As an African-American man and artist he knew that European school of music he grew up in was not addressing his needs or the needs of his people. He made the radical decision to play differently…to play from his soul…and in the process he discovered who Don Shirley really was. His need to express himself musically liberated him. The album Drown in My Own Tears isn’t just another long-playing record, it is a statement, a testament and a magnificent artistic achievement. A lot of classically trained musicians attempt to play jazz and blues, but they fail because it is a sham, a fakery…they are merely posturing in order to be commercial. On this album, Don Shirley came as close as anyone ever has to discovering himself through his music. It is a remarkable achievement. On every song, Shirley foregoes his awesome technique, and simply plays from the soul. He lets his music speak through him in an honest and unpretentious manner. Listening to this album is a healing experience for anyone. It is as honest as a recording can be. John Coltrane created a similar cathartic experience in his monumental recording “Alabama” a year later.